The Victory of Light Expo is one of the Midwest's most extensive and affordable venues for exploring alternative spirituality in its many forms. Much more than a "psychic fair,” seminars, holistic healing sessions, live music performances, art exhibits, book signings and shopping make this a diverse, fun, family-friendly event. George Noory, host of Coast to Coast AM, makes his first appearance at Victory of Light on Saturday, April 9, leading a celebrity panel at 12 Noon and hosting a dinner at 7 p.m.
...there’s no doubt the panel discussion George Noory will lead on Saturday will be extraordinary! George Noory, star of one of radio's most fascinating programs, Coast to Coast AM, will make his first appearance at the Victory of Light Expo on Saturday, April 9. As host of the nationally syndicated late-night radio program, Noory captivates program listeners with his discussions of paranormal phenomena, time travel, alien abductions, conspiracies and “all things curious and unexplained.” Noory’s Victory of Light appearances, all scheduled to take place on Saturday of the two-day Expo, include leading a panel of renowned experts who will answer audience questions about life's deepest mysteries - the paranormal, life after death, past lives and expanded human potential. The Victory of Light Expo, Saturday, April 9 and Sunday, April 10, at the Sharonville Convention Center, will be the largest in the event’s 24-year history with 80 seminars led by psychic, holistic and paranormal experts from around the country and over 250 exhibitors and vendors. Noory will connect personally with his fans at a special dinner event on Saturday at 7:00 p.m. in the Northern Lights Ballroom. Tickets to Dinner with George Noory must be purchased online by noon on Wednesday, April 6. General admission tickets and tickets to other special events can be purchased online through the Victory of Light website as well as at the door. $69.00. Must be purchased online at http://www.VictoryofLight.com by Noon Wednesday, April 6. Coast to Coast AM, is heard by 2.75 million listeners on 564 stations in the U.S., Canada, Mexico and Guam. George Noory became the permanent host of the phenomenally successful over-night program in 2003, and since then his audience has continued to grow. Noory captivates listeners with his interviews with internationally-known experts and discussions of paranormal phenomena, time travel, alien abductions, and conspiracies. He is also host of "Beyond Belief with George Noory," on Gaiam TV, a subscription-based webcast on which Victory of Light founder and Executive Director Victor Paruta has appeared twice as his guest. Additional highlights of this Expo include a day of seminars exploring Native American Spirituality on Saturday, April 9, every hour from 11:00 a.m. - 5:00 p.m., including a traditional Sacred Tobacco Drumming Circle, and presentations by Dr. Lewis Mehl-Madrona, Chief Golden Light Eagle, Barry White Crow and Eagle Skyfire. A record number 16 seminars will include psychic readings for the audience, the most popular and well attended seminars at every Victory of Light Expo, including “Ask a Psychic” with Victor Paruta at 2:00 p.m. on Sunday. Another highlight is Midwest School of Astrology founder Pam Gallagher’s timely “Predictions for Fall 2016 & the Astrology of the Presidential Election” on Saturday at 1:00 p.m.
Holistic and Energy Healing talks and demonstrations take place every hour. The world's foremost authority on Pranic Healing and co-author of Your Hands Can Heal You (Simon & Schuster, 2002), Master Stephen Co presents this powerful healing technique at 2:00 p.m. Saturday. Three presentations are led by cancer survivors who healed themselves using holistic techniques (Heidi Bright, Letha Cupp, Maria Celeste). Other healing seminars cover Essential Oils, Crystals, Eastern Approaches to Healing, Reiki (laying on of hands), Transforming Grief, Meridian Tapping, Herbs and Tibetan Buddhist Healing Ceremonies. 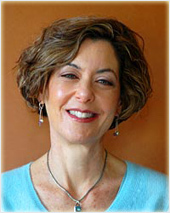 Dr. Linda Backman, one of the world's foremost authorities on Past Lives and author of two books on the subject, is making her first appearance at Victory of Light - as a panelist with George Noory (12 Noon) and a presenter at 3:00 p.m. A frequent guest on television and radio, including Noory's Coast to Coast AM and the Dr. Oz Show, Backman’s presentation “Past Lives, Consciousness & Life Purpose: Why Are We Here Now?” is a 90-minute special event ($20). Other talks on Past Lives are being presented by Cindy & Michael Fess (“Soul Mates, Soul Contracts, Soul Stories”), Beth Ann Bennett (“Exploring Past Lives”), and Consuelo Cassotti (“Past Life Regression”). The Paranormal, another widely popular subject, is covered in several presentations, including “Spirit Photographs” with Kentucky author Thomas Freese; “Our Alien Origins & the Hidden History of Earth” with David Gieske; “Orbs: One Man's Journey” with Cincinnati author Willis Stanley; and “Ask A Paranormal Investigator” with Victory of Light Paranormal Investigations. Live original music is performed all weekend by Mark Kenworthy (keyboards), award winning Native Flutist Douglas Blue Feather, Ron Esposito (Crystal Bowls) and Deborah Brubaker (Chakra Flutes). A full menu of healthful food choices is available on site. A downloadable schedule for the April 2016 Victory of Light Expo with seminar descriptions and lists of exhibitors can be found at VictoryofLight.com. About Victor Paruta: A highly sought after and respected psychic reader and spiritual consultant, Victor Paruta was featured on two episodes of "Beyond Belief" with host George Noory on Gaiam TV. Named “Best Psychic” (Cincinnati Magazine) for his “mysteriously accurate and compelling readings," Paruta is a regular guest on radio and television and has been featured in dozens of articles and publications. He has also appeared on ABC’s “The View.” Paruta is also a medium with Victory of Light Paranormal, a high level paranormal investigation and research team serving Ohio, Indiana and Kentucky. He has been producing the Victory of Light in Cincinnati since 1992 to provide the general public with a venue for experiencing and learning about the holistic and psychic arts and sciences. 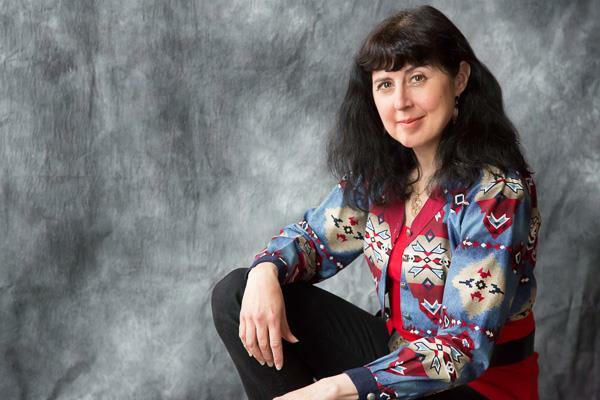 Dr. Linda Backman, one of the world's foremost authorities on Past Lives and author of two books on the subject, is a panelist with George Noory, Saturday at 12 Noon. Eagle Skyfire presents the Native American Medicine Wheel on Saturday at 1 pm. 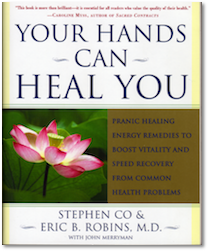 The world's foremost authority on Pranic Healing and co-author of Your Hands Can Heal You, Master Stephen Co, presents this powerful healing technique at 2 pm Saturday. Keyboardist and recording artist Mark Kenworthy performs throughout the weekend. Massage is one of many healing practices to experience at the Expo. Others include Reiki, acupressure, reflexology and energy work.massage One hundred vendors offer crystals, jewelry, minerals, art, fashion, books, ghost hunting supplies, singing bowls and all natural wellness products. The Victory of Light Expo is family-friendly with live music performances, face painting and lots of shopping.